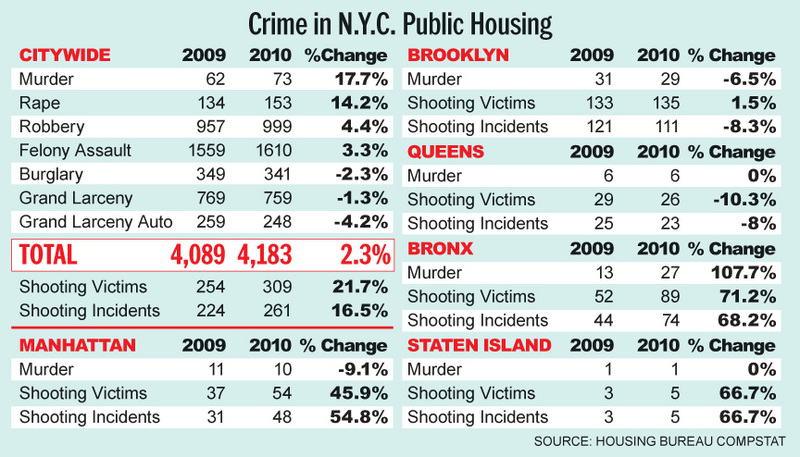 Soooooo The New York Daily News have released the above information regarding crime rates comparing 2009 to 2010 and while Brooklyn and Queens have shown progress, Manhattan (more than likely Uptown) and The BX have fulfilled my expectations. Staten Island you ask? They don’t have any real numbers, probably because the mafia handles problems differently you have to cross bridges to get away and majority of them don’t drive. Ya’ll need more white people in those area!! I promise you that will change a lot of things.